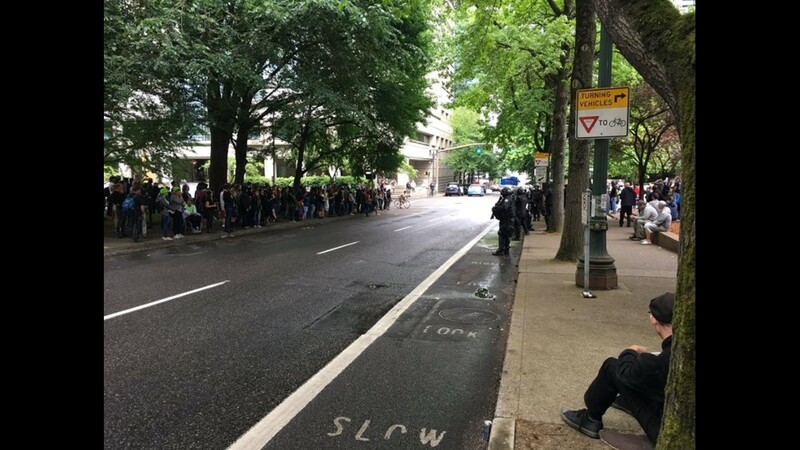 Portland police advised community members in the area of two competing protests in downtown Portland to leave for their own safety. 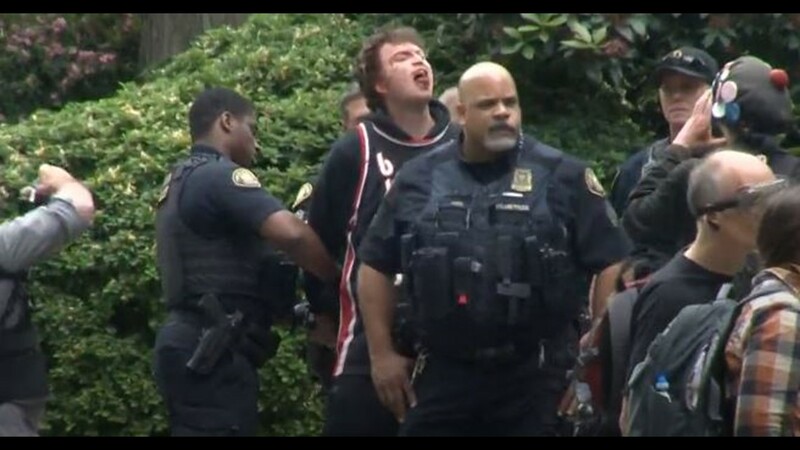 PORTLAND, Ore. — Four people were arrested during multiple protest events in downtown Portland on Sunday. 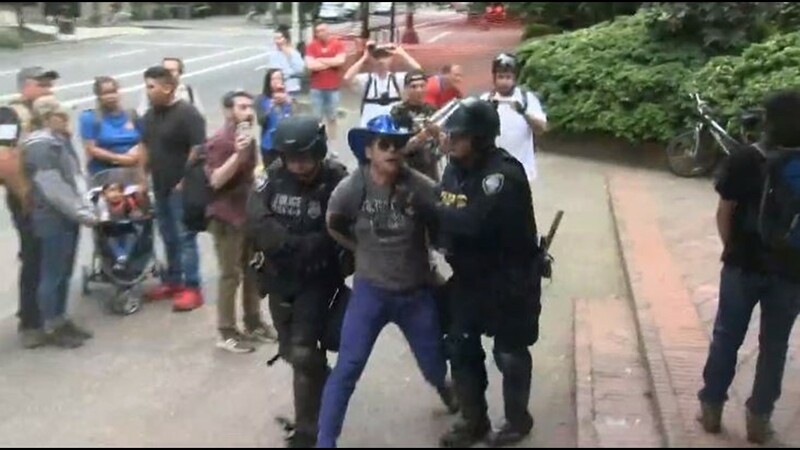 Portland police said officers observed members of two competing protest groups using pepper spray and throwing projectiles, including fireworks, bottles, rocks, and ball bearings. Police deployed pepper spray in two separate incidents when multiple people were involved in assaultive behavior. Bryan A. Neyman, 26, was arrested for fourth-degree assault and third-degree robbery. Jonathan D. Feit, 36, and Andrew Arbow, 32, were both arrested for second-degree disorderly conduct. Gregory N. Isaacson, 43, received a federal criminal citation for failure to comply with a lawful order and was then released. 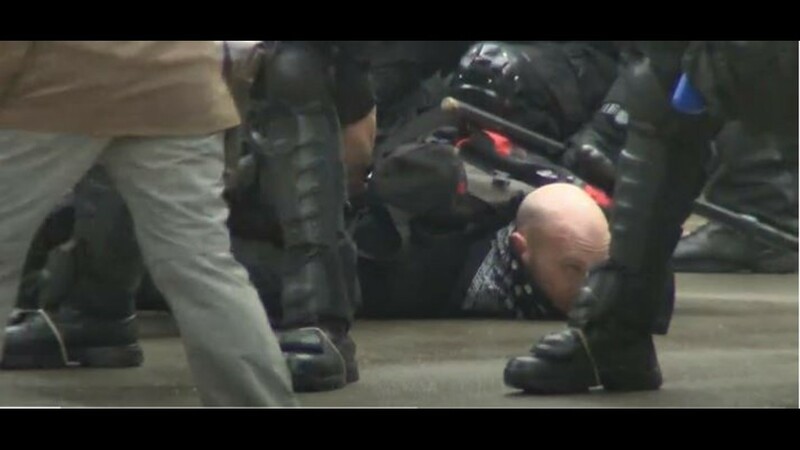 Police said there were multiple fights between protesters, and officers confiscated weapons from demonstrators who gathered Sunday afternoon at Terry Schrunk Plaza and Chapman and Lownsdale Squares. Officers have observed multiple fights at today’s events. 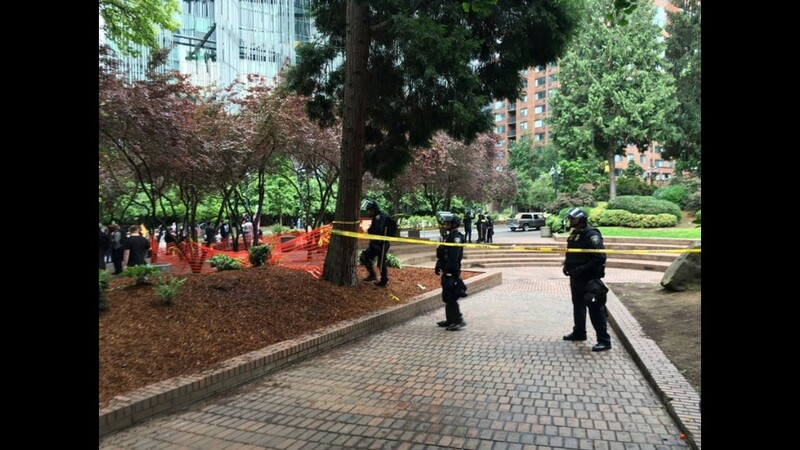 People are encouraged to leave the area for their safety due to the violent behavior of demonstrators at Terry Schrunk Plaza and Chapman and Lownsdale Squares. 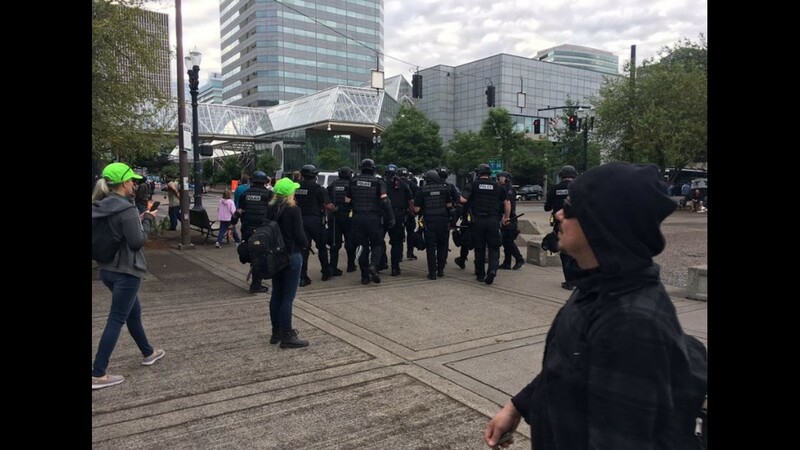 Multiple rallies were planned for Sunday in downtown Portland. 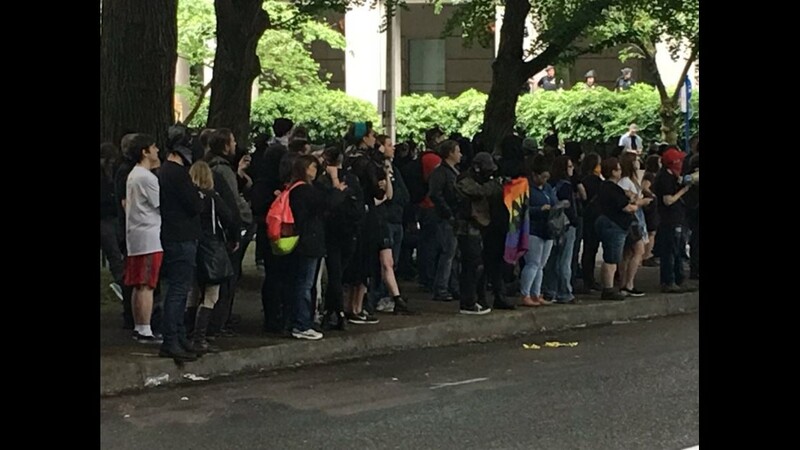 The first, an anti-police brutality rally organized by Direct Action Alliance and Empower Portland, began at 2 p.m. at Chapman Square. 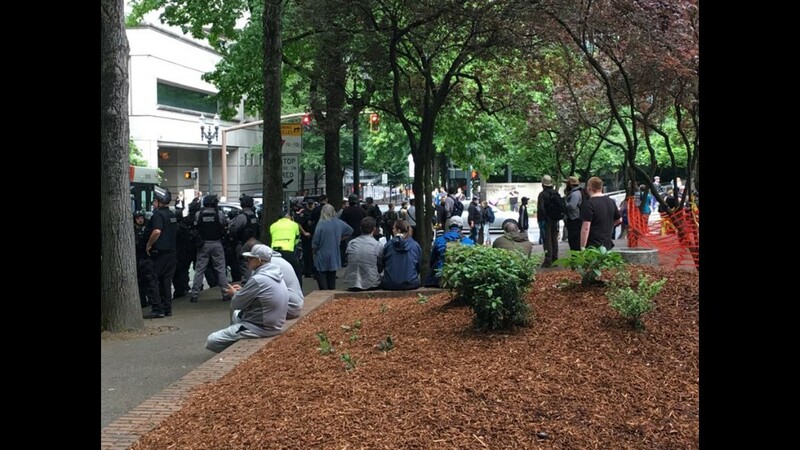 Protesters started showing up for a rally organized by right-wing group Patriot Prayer began before its scheduled 5 p.m. start time at Terry Schrunk Plaza. 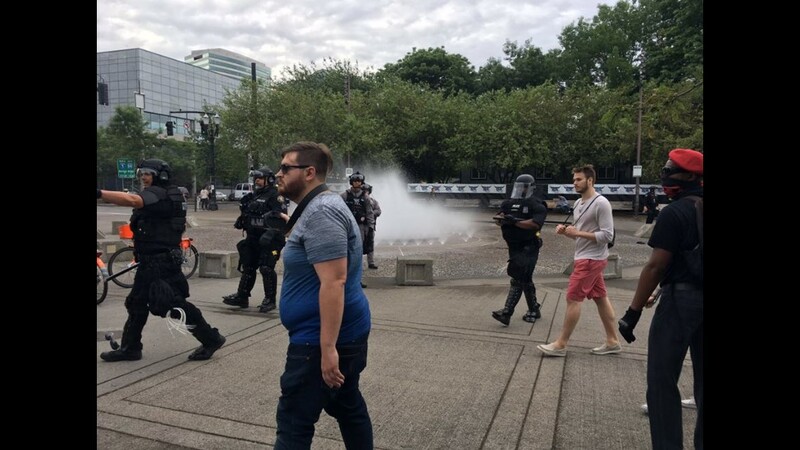 Antifa groups joined Direct Action Alliance and Empower Portland to counter-protest the Patriot Prayer rally. 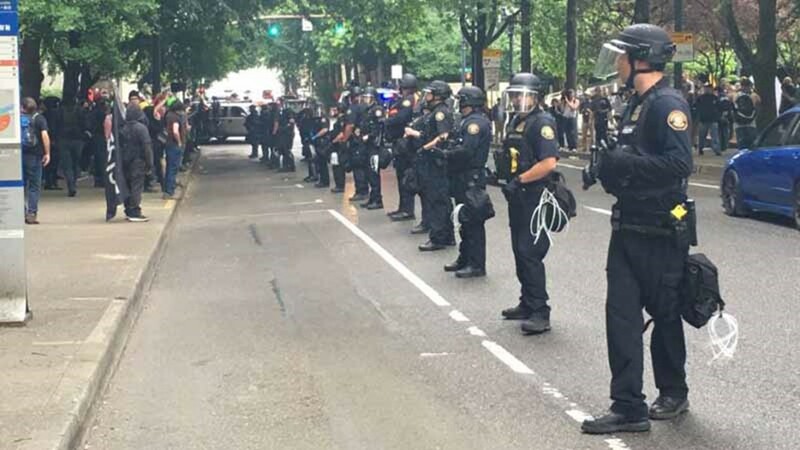 KGW's Lindsay Nadrich said police in riot gear showed up around 4 p.m. when things started to get violent. One demonstrator was taken away, bloodied and in zip-tie restraints. Things started to calm down later Sunday evening as police were able to mostly keep the two groups separated. At one point, both groups marched around the block, after which they reoccupied their respective spaces on opposite sides of the street and resumed yelling back and forth at each other. The protests ended around 7 p.m.